Keep potted plants in partially shady spot until ready to plant. 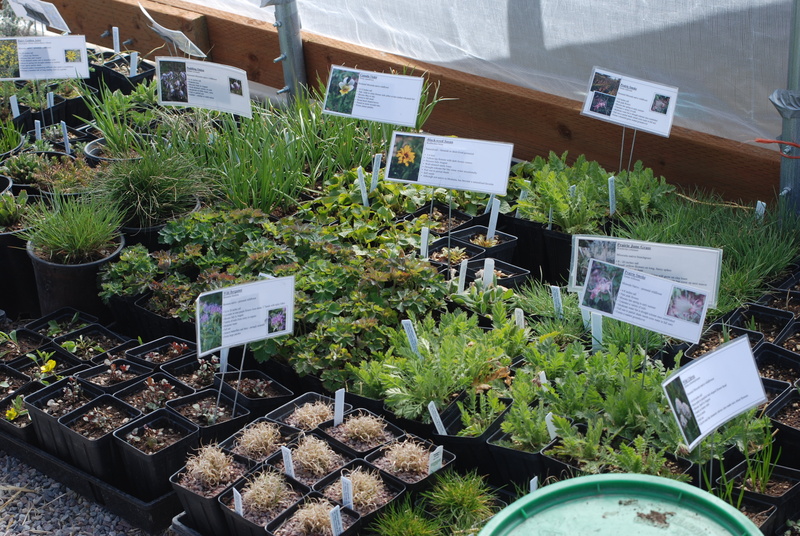 Even drought tolerant plants will not survive constant direct sunlight in black nursery pots. Put them out of the way of inquisitive deer. Plants that want full sun need at least 6 hours each day. Plants that want partial sun should have 3-4 hours/day. Shade plants should have no more than 2 hours each day. Amend soils to provide the best possible environment for your specific plant species. Each plant has a soil aggregate and pH it prefers. 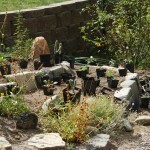 Try to create the correct soil mix for the plants you are installing. Add sand or gravel if your soil does not drain well. 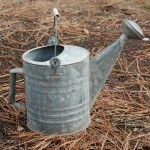 Add compost to increase nutrition and water holding capacity. 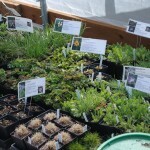 If you are not sure which soil amendments are appropriate, ask the nursery where you obtained the plants. 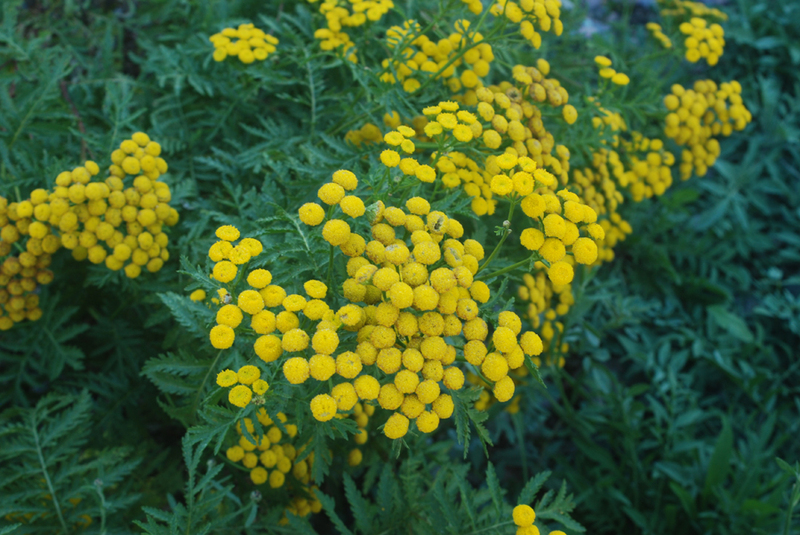 Common Tansy – a weed! Remove weeds BEFORE you plant. If weeds are a serious issue, it may take several months to eliminate weeds and germinate seeds that remain in the soil. 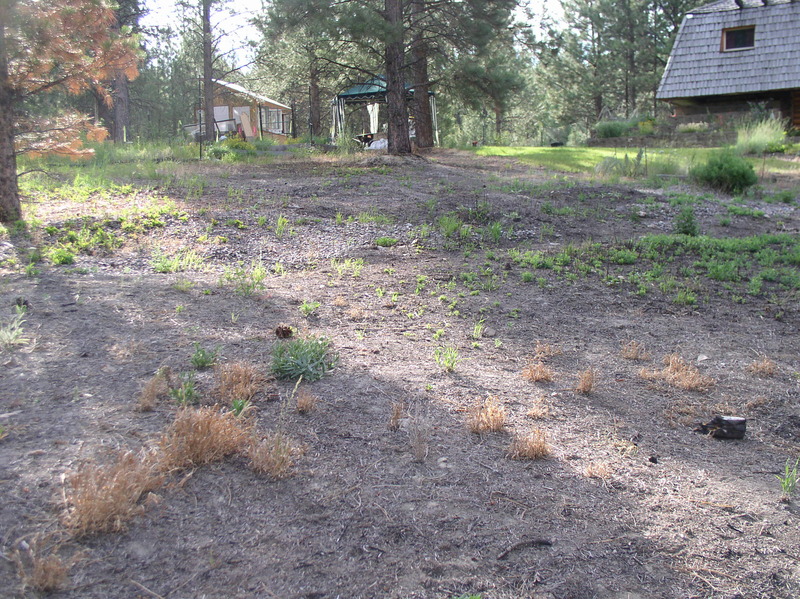 Options for weed removal include pulling weeds, laying clear plastic mulch over area for several months, smothering the site with heavy mulch, allowing sheep or grazing animals to remove most weed mass, and as a a method of last resort – herbicides. Our recommended method is pulling weeds removing as much root as possible. After removal, water the area and let seeds that are still in the soil germinate. 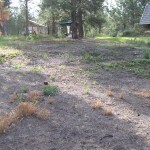 Remove these new weeds before planting. While this will not remove all weeds or seeds, it will give you a good head start. Get to know which plants (and seedlings) are weeds and periodically remove them as your new plants grow. 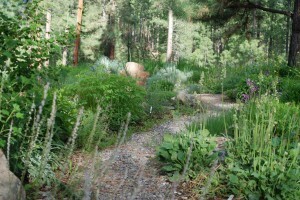 If you are diligent, you will have minimal weeding after the first season. Planting is best in early morning or evening when the sun is not too hot. Intense sunlight may stress newly installed plants. Loosen the soil in a hole 2-3 times larger than your root ball. Gently tap the edges of the pot to loosen the plant from the pot. Remove plant from the pot. Avoid sunlight on the roots! Loosen the roots and gently spread them onto the dirt in the hole. 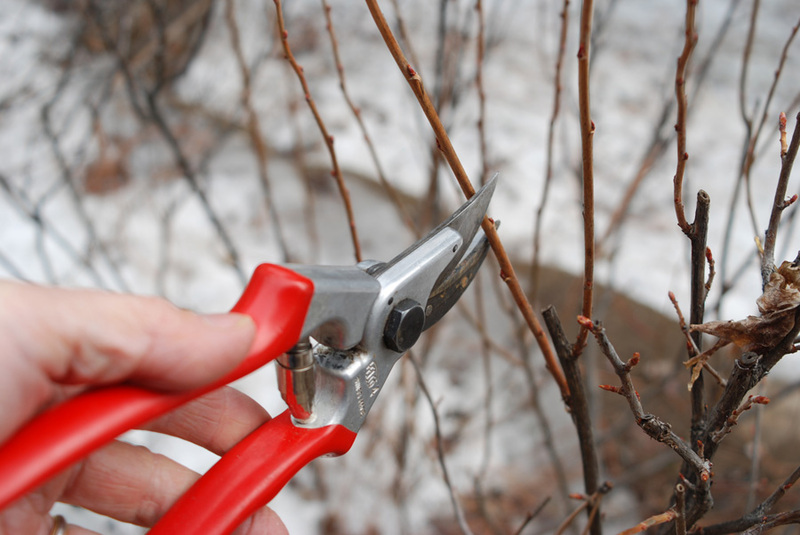 If roots are too long to fit, prune them back a little. It is best not to circle the roots around the hole since this may eventually kill the plant. 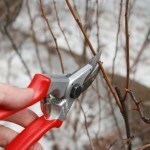 If you prune back roots, also prune back a little foliage to maintain an equal shoot-to-root ratio. Fill dirt in over roots and gently firm the soil over the roots. The plant should be at the same depth in the ground that it was in the pot. If planting in the intense heat and sun of summer, protect newly installed plants with a light frost cloth for several days. Water regularly for at least a month to establish roots. 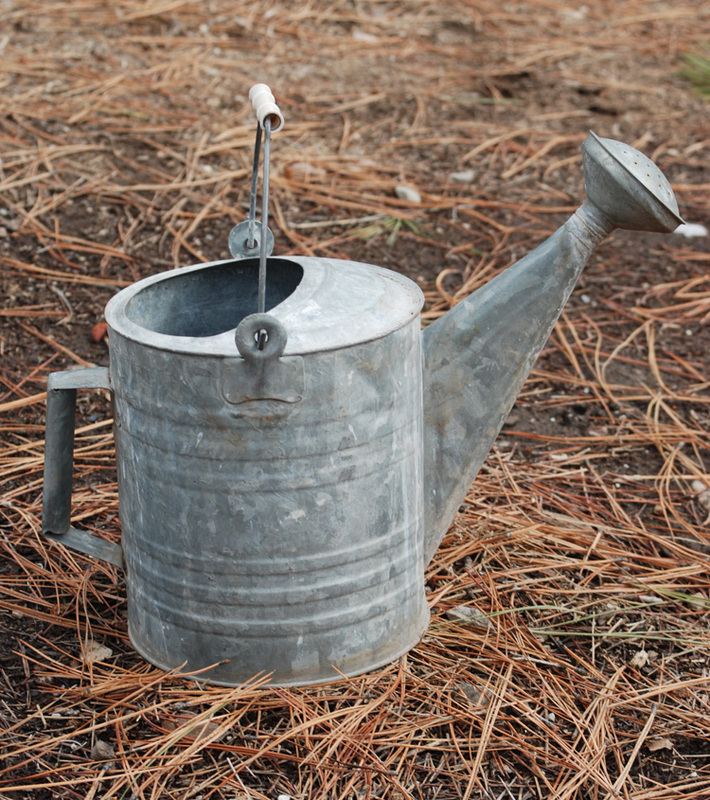 Avoid watering leaves if possible and instead water the soil. Decrease water after a month or as fall approaches. Minimal watering (if any) is needed after mid-September. Weed regularly to minimize competition. Fertilizer should not be necessary for native plants. 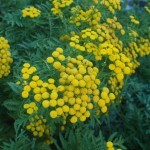 It may cause plants to grow too vigorously and they will not be prepared for killing frosts in the fall. 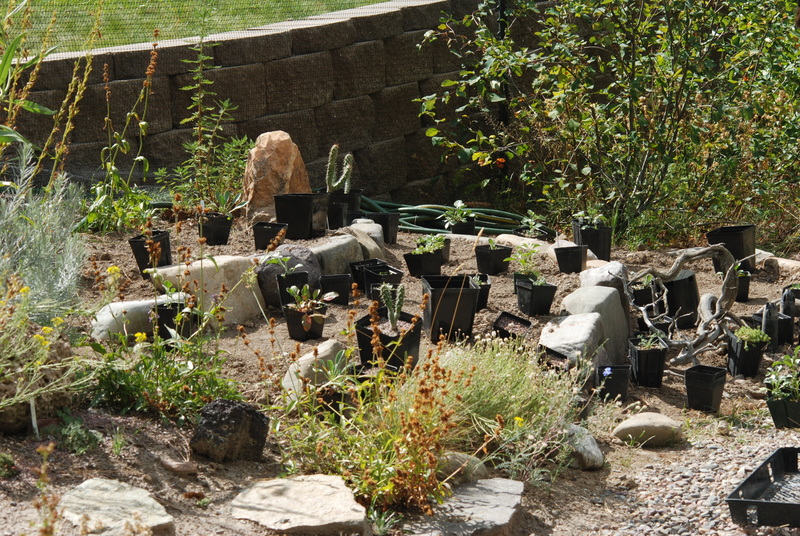 Once established most drought tolerant plants need little water. They may appear to die, but in fact they are only going dormant until conditions favor more growth (they have ‘senesced’). Weeds need to be removed. Deadheading and pruning keeps a garden looking neat and may produce additional blooms on some species. We leave interesting looking plants for winter interest and to provide seeds for birds. Mulch may help with weed management, keeping soil moist, and it looks good. Consider using several inches of compost, wood chips, or gravel. Each has benefits and issues. We don’t use mulch because we want plants to reseed. Your choice!